Restaurant-quality fries right in your kitchen! Here's the easy way to get uniform, delicious French fries ready for the fryer. Without it you have 2 options: Cut each potato with a knife with slow, inconsistent results, or buy those frozen ones from the supermarket. But we all know how those taste. Get this handy kitchen gadget instead and make them easier! 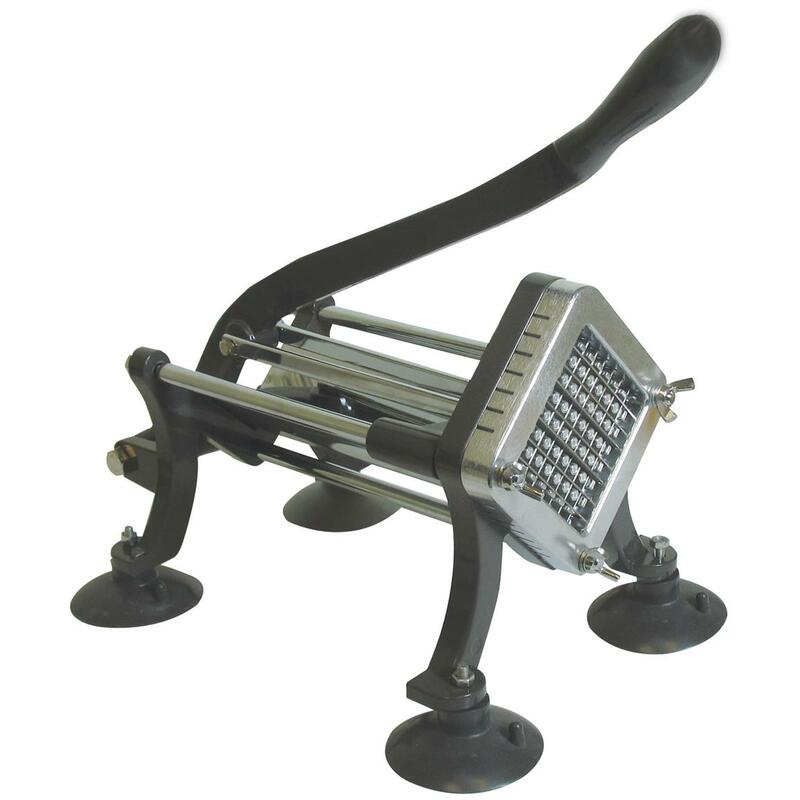 Made of heavy-duty cast iron, the Weston® French Fry Cutter won't wear out like lesser models. It's engineered for restaurant quality and worthy of passing down through generations of French fry lovers! Measures 21.33" x 10" x 9.4"h.
Cut your own fries now. Order today!